Might The Pirate Bay actually teach EMI a thing or two about music distribution? EMI has taken on a former senior Google exec, who plans to drag the music label into the modern digital age, relaxing its draconian position on file sharing and online piracy. Douglas Merrill, previously Google's chief information officer, now takes on the position of president of EMI's digital group, claiming in an interview this week that he's "passionate about data". Merrill added: "For example, there's a set of data that shows that file sharing is actually good for artists. Not bad for artists. So maybe we shouldn't be stopping it all the time. I don't know... I am generally [against suing fans]. 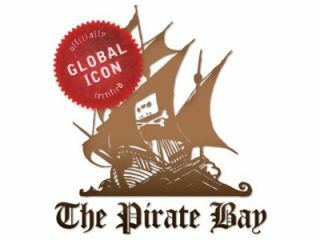 "Obviously, there is piracy that is quite destructive but again I think the data shows that in some cases file sharing might be okay. What we need to do is understand when it is good, [and] when it is not good... Suing fans doesn't feel like a winning strategy." "It's a poor business model to sue your customers. I don't think that's a sustainable strategy," Merrill added. While EMI has previously backed the “three strikes” rules, where ISPs are encouraged to ban users caught out downloading loads of copyrighted content, the hope is that with Merrill in charge the label will start to look towards more progressive solutions to combating real piracy. Merrill also told the Financial Times that EMI would look further into the benefits of advertising-supported music downloads, and other solutions that allowed music fans to use EMI’s back catalogue on their own websites.